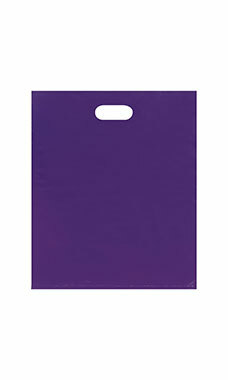 The Large Lightweight Low Density Purple Merchandise Bags are great for lighter items so your customers can carry their purchases. Measuring 15" x 18" x 4" with lightweight 0.87 mil plastic, these bags perfect for lighter gifts such as t-shirts. These bags are economical and perfect for many retailers. Sold in cases of 500.